Adi has been a life long student of practicing yoga off the mat in all shapes and forms especially when it involves being outdoors. 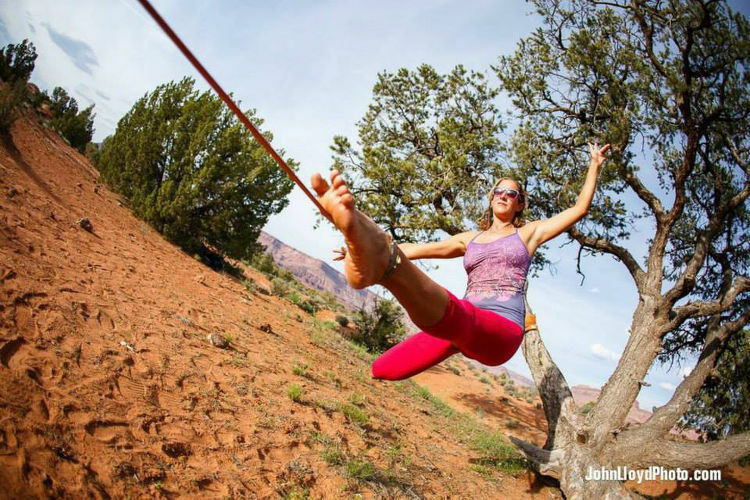 Her passion for movement and the environment have taken her on countless adventures around the world and she currently travels and teaches as part of the YogaSlackers & created the Redefining Balance series and retreats to share the modalities of shifting perspective through yoga, slacklining, AcroYoga, climbing, surfing, mountain biking and just about anything else you can think to do on the Earth’s terrain. Traveling & teaching often times with her car as a home base, you can find her somewhere in the vicinity of an ocean, climb site, mountain or legit climbing tree as she works with students on and off the mat to discover a new sense of balance, strength and focus in whatever their form of practice might be. Her yoga classes are alignment based and draw from a background of practicing Vinyasa, Iyengar, Ashtanga, Anusara, Pilates and Thai Massage. Adi’s adventures and environmental awareness endeavors have been featured in The New York Times, Yoga Journal, Outdoor Japan, New York Magazine, National Geographic, L.A. Yoga, Yoga + Joyful Living, Urban Climber, elephant journal, Current TV and TIME for CNN. 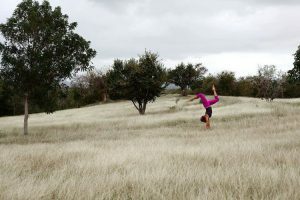 In addition to teaching, Adi writes articles on sustainability, yoga, travel, slacklining and adventure and has a passion for surfing, climbing, mountain biking, snowboarding and just about anything else that you can do outdoors.